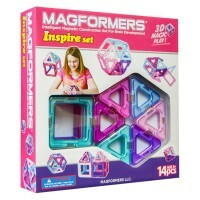 The 30 pc innovative building toy from Magformers contains 12 triangles and 18 squares to create whimsical magnetic structures. 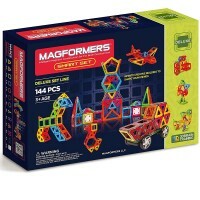 Rainbow of colors and the sky is the limit - with the amazingly fun Magformers building set. 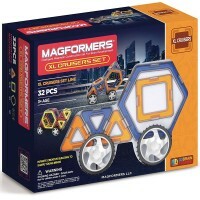 Magformers building sets feature innovative design, high quality magnetic construction. 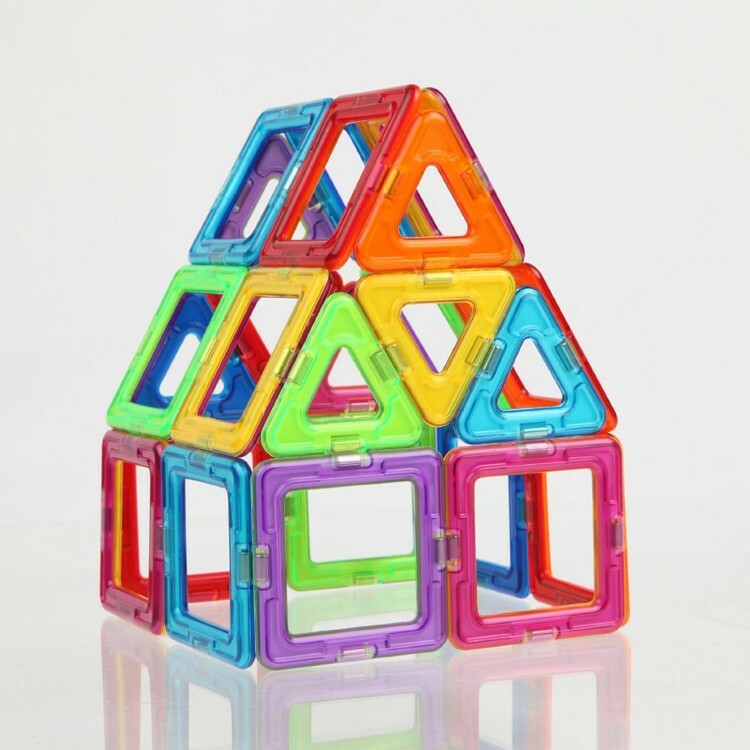 These building toys are easy to use and magical to play with. 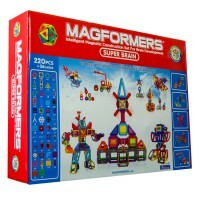 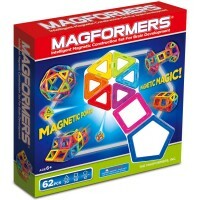 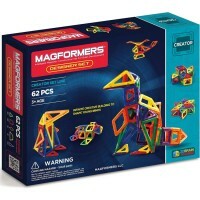 Magformers construction sets use intelligent magnet rotational technology, that allows every side of the building piece to be able to connect to any other side of any other magnetic part. 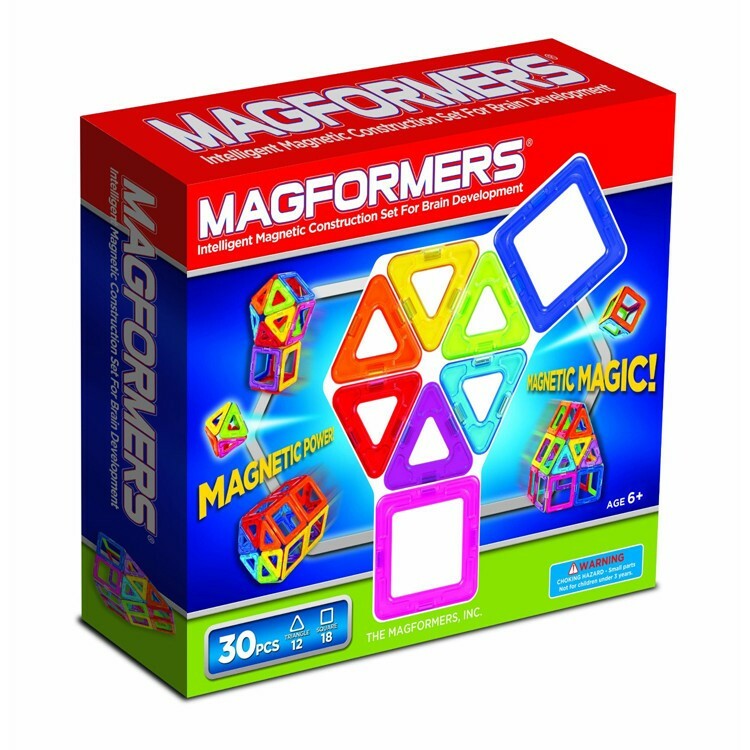 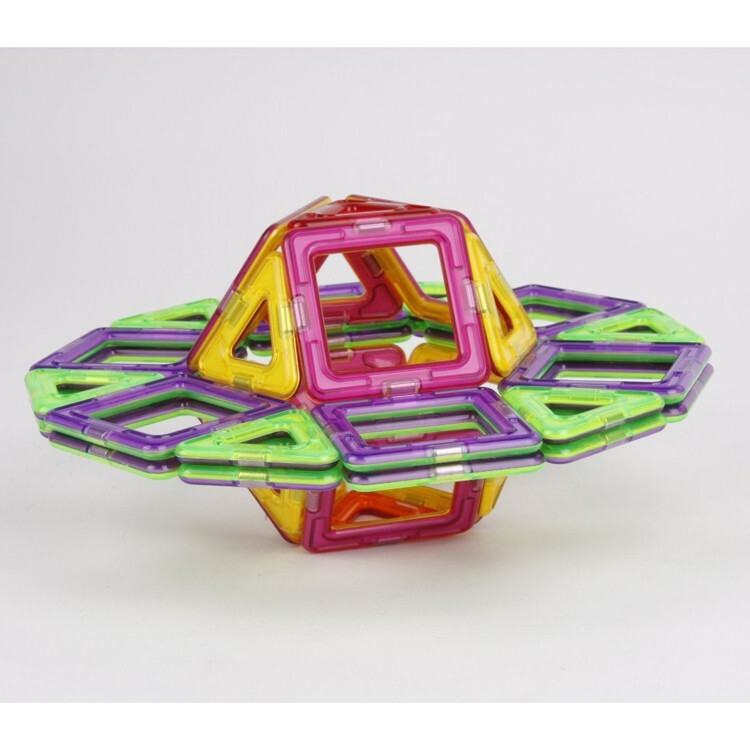 The Magformers 30 pc Rainbow Magnetic Construction Toy is the basic Magformers set with triangles and squares build unlimited combinations of magnetic structures. 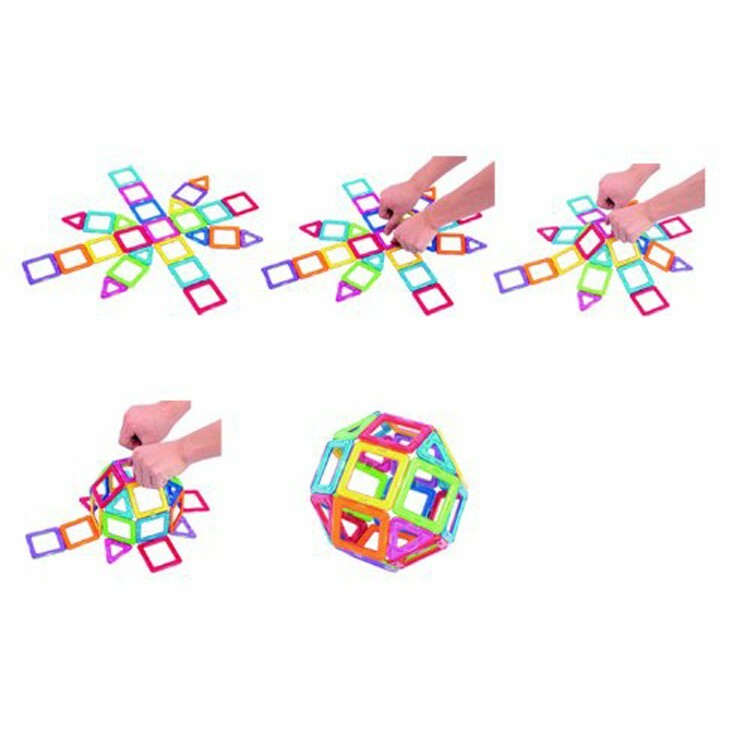 The magnetic toy set from Educational Toys Planet contains 12 triangles and 18 squares to create whimsical magnetic ball or cute house, or a little windmill, or a satellite dish, or anything your imagination inspires you to create. 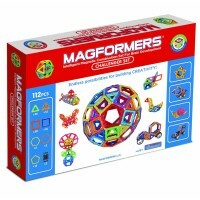 The Magformers 30 pc Rainbow Magnetic Construction Toy develops children's intelligence and creative thinking. 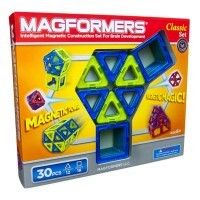 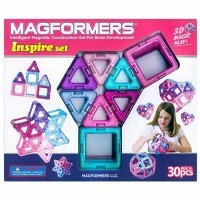 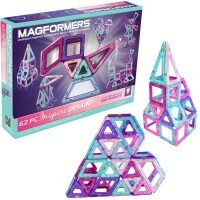 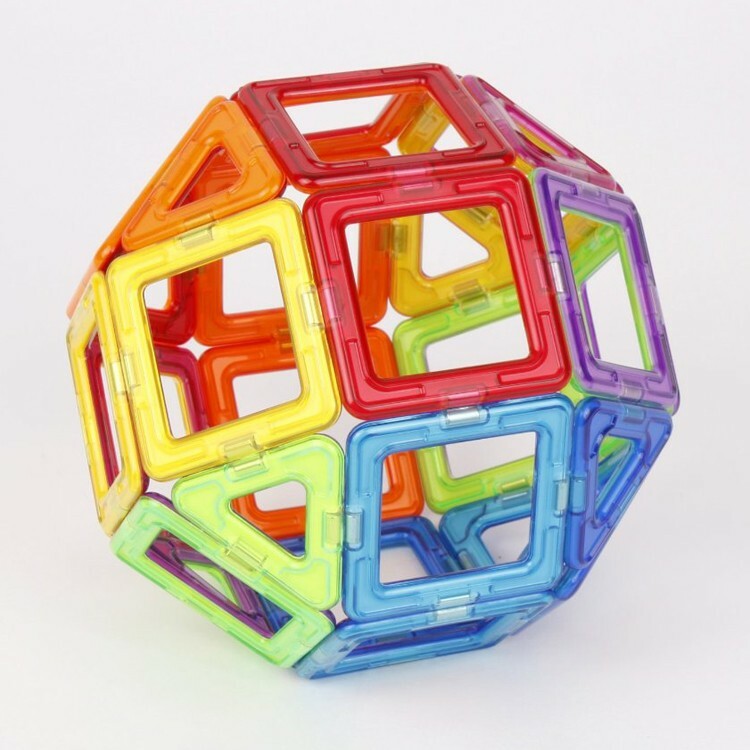 Dimensions of package 2" x 11.5" x 9.5"
Write your own review of Magformers 30 pc Rainbow Magnetic Construction Toy.